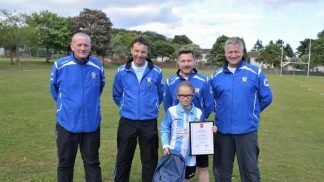 The Vattenfall Award of the Month recognises outstanding commitment to the girls’ game, whether that be a player, coach, volunteer or Club. 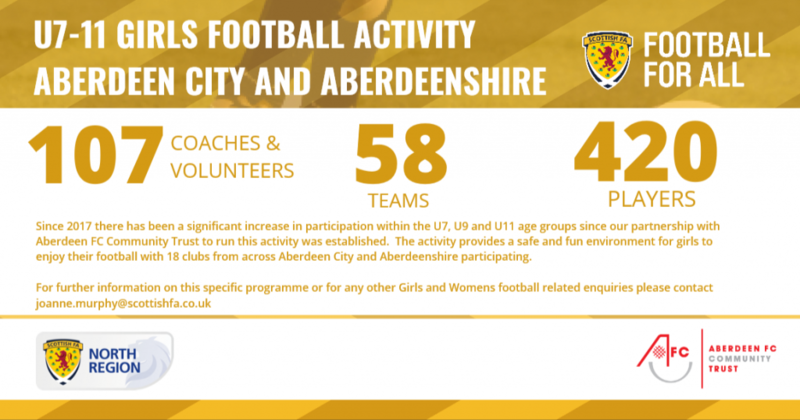 The winner of this award for February is Stonehaven Youth Football Club! 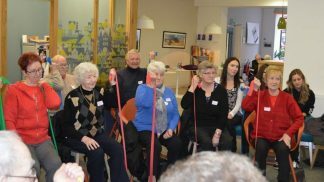 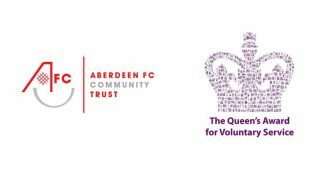 For the very first time the Vattenfall Award of the Month has been presented to an entire Club, rather than an individual, a testament to the level of outstanding commitment Stonehaven have demonstrated since AFCCT took on the role of managing and developing the U7-U11 North Region Girls Football League. 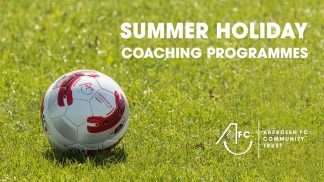 Over the past couple years, the number of girls playing for the Club within the AFCCT NRGFL has doubled, while the number of registered coaches from Stonehaven has increased dramatically. 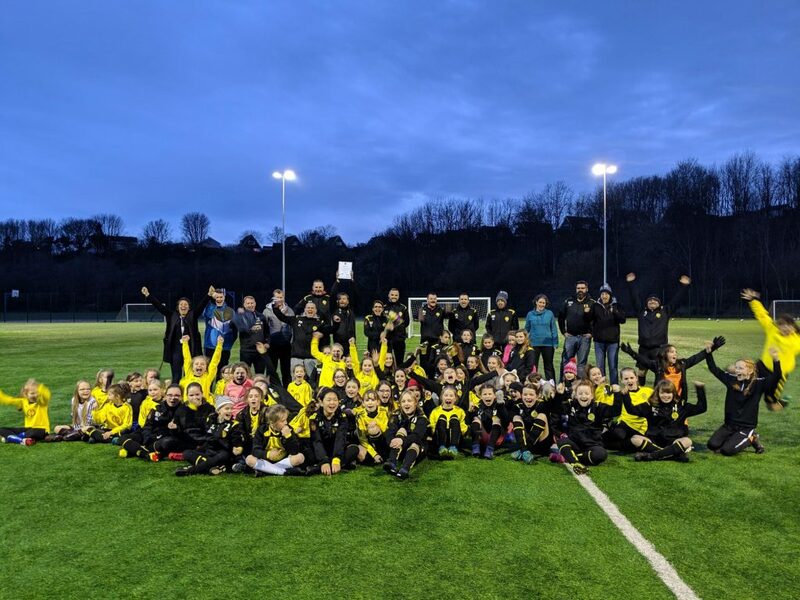 Natalie Ghazi, Local Liaison and Project Communicator for League sponsors Vattenfall, added “It was a privilege to present the Vattenfall Award of the Month to Stonehaven Girl’s Football Club last night. 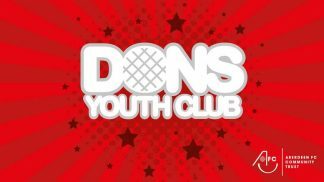 Like Vattenfall, this is a club that is also investing in the future. 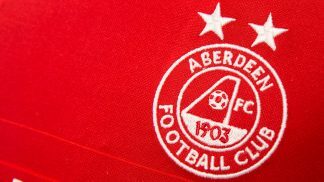 Congratulations and a sincere thank you for all your efforts from everyone here at Aberdeen FC Community Trust!